Chantelle has more than 130 years of lingerie-making expertise, so you know its designs are built to last. 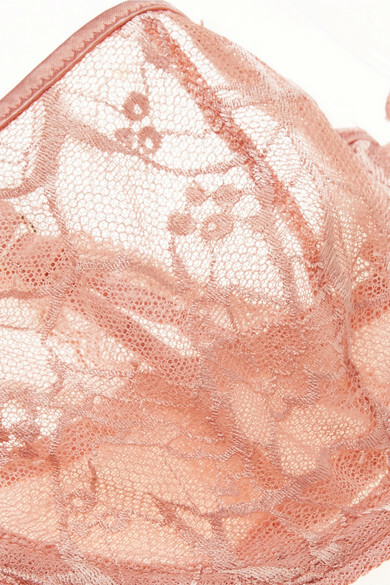 This underwired lace and tulle 'Segur' bra comes in a blush hue that's easy to wear under light-colored clothing. The elegant half cups are framed with satin trims to match the pretty cutout straps. Wear it with: Chantelle Briefs.